turn right onto Frye Road. 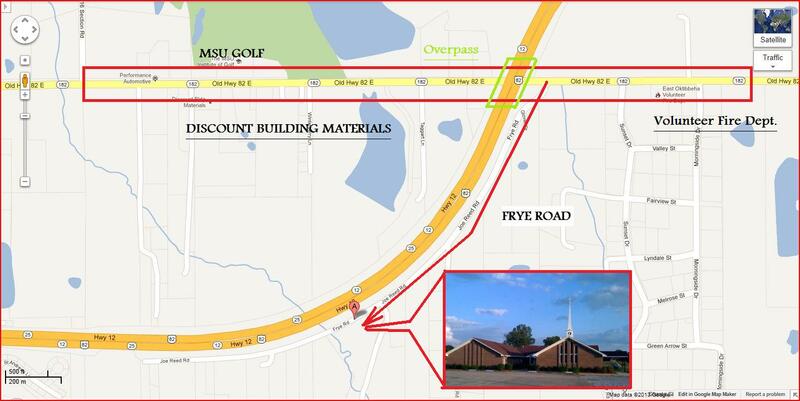 Fellowship Baptist Church will be on the left hand side of the road about 1/2 mile. Traveling East on Hwy 82 take the Clayton Village Exit and travel East on Hwy 182. Immediately after you go under the SECOND Hwy 82 overpass. Immediately turn right onto Frye Road. Fellowship Baptist Church will be on the left side of the road after about 1/2 mile. Traveling West on Hwy 82. 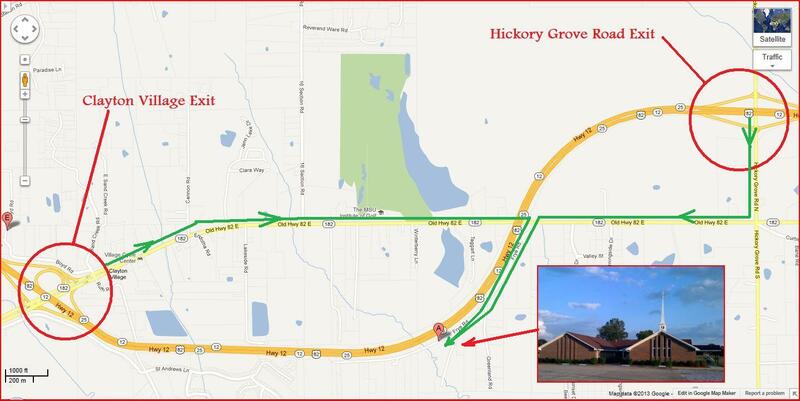 Take the Hickory Grove Road exit. Travel south on Hickory Grove road until you reach the stop sign and then turn right onto Hwy 182. Travel West on Hwy 182 until you see the first Hwy 82 overpass and turn left on Frye Road. Fellowship Baptist Church will be on the left hand side of the road.